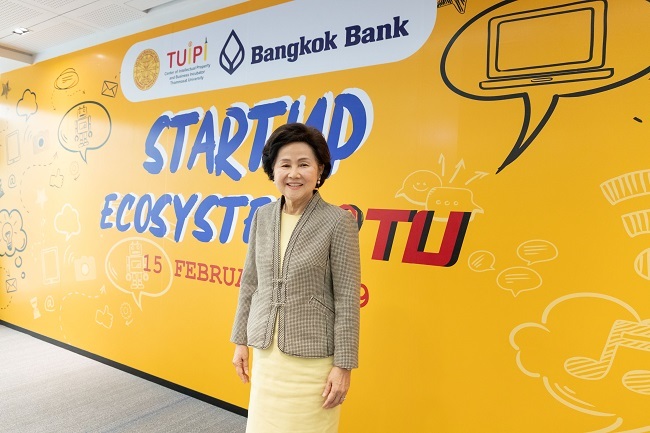 Thammasat University and Bangkok Bank cooperatively launched ‘Startup Ecosystem @TU’ campaign to improve a business incubator and to expand markets by promoting startup businesses through international collaboration. Thammasat University (TU) has the vision to bring innovations created by professors into a business sector. Building a practical ecosystem is the key to encourage startups to gain access to these innovations. Also, the ecosystem strongly establishes networking in startup businesses among entrepreneurs, professors and students to develop new innovations, a business incubator and a place where students are able to learn outside their classrooms. 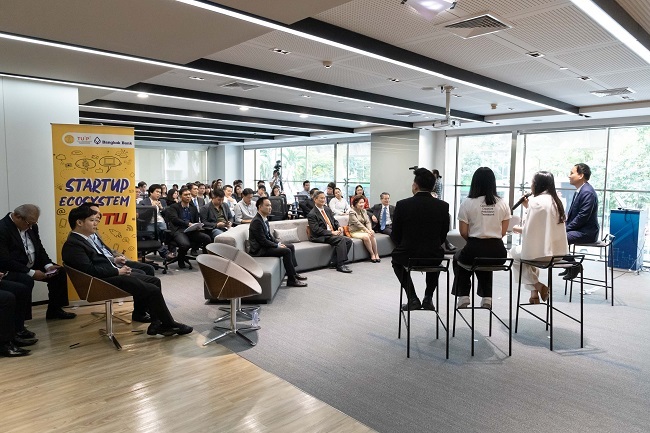 Associate Professor Gasinee Witoonchart stated that building the ecosystem could enhance the connection between the business sector and Thammasat University. Thus, new entrepreneurs would be effectively supported by the program starting from a classroom, through an internship, or from establishing their real businesses. 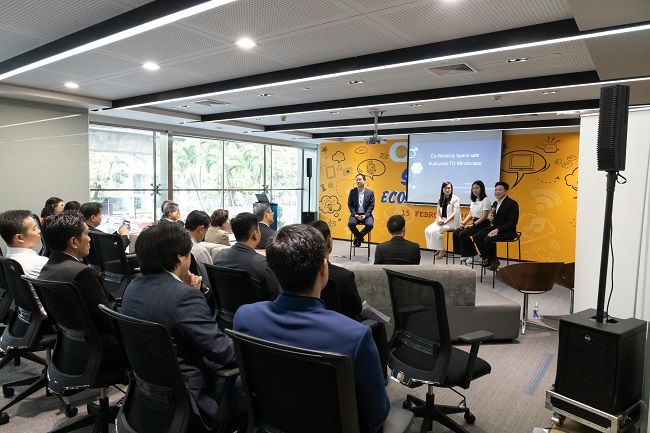 Regarding the goal of becoming an entrepreneurial university, the business incubator would not only support students of the university, but also anyone with a license including Thammasat professors’ innovations. 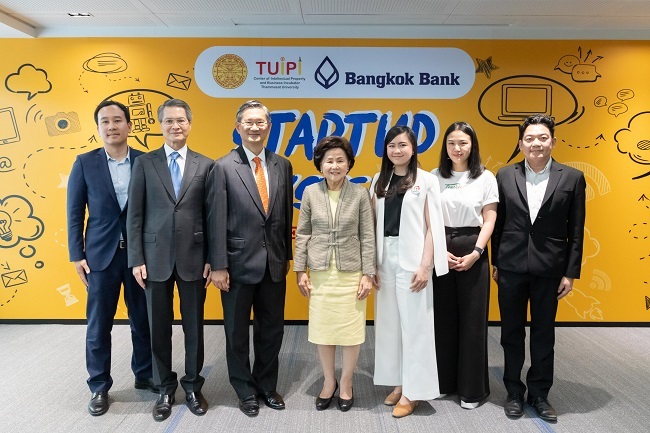 Apart from Startup Ecosystem@TU campaign, Thammasat University aligns with Bangkok Bank to launch another campaign called Startup Exchange Program. This program will provide interactive linkages to boost startup markets between Thai startups and international partnerships beginning with Singapore which has a large number of participants. Mr.Chartsiri Sophonpanich, President of Bangkok Bank Public Co. Ltd., stated that right now INNOHUB is the business incubator sponsored by Thammasat University and Bangkok Bank. In the future, co-working space will be another plan to increase the utilization of university innovations in order to improve the business. In addition, Thammasat University also has its own co-working space for ten startup companies. Deep Technology will be developed for more capacities at Office of Advanced Science and Technology, Thammasat University with support from Bangkok Bank. Approximately, there will be 50 student interns joining the startup companies. This could be a business model for other faculties. 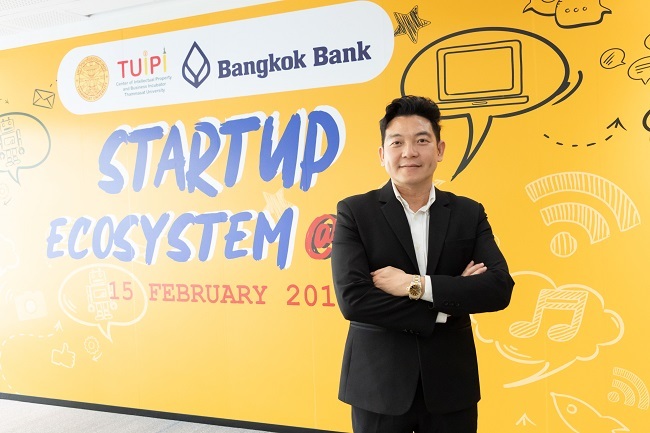 Prof. Dr.Arnat Leemakdej, Director of Centre of Intellectual Property and Business Incubator, Thammasat University informed that ‘Startup Exchange’ is one of the startup projects sponsored by the university. This project will select two people from startup companies inside the university to work aboard with other business incubators in order to learn know startup works in other countries and to develop business networking.